The Point 12 is the most versatile of the Point Series and offers both high fidelity and high SPL handling. The Point 12 is recommended where high SPL is needed with a moderate amount of low frequency energy. Users of the Point 12 can take on just about any task, whether it be replay systems, live bands or speech systems. 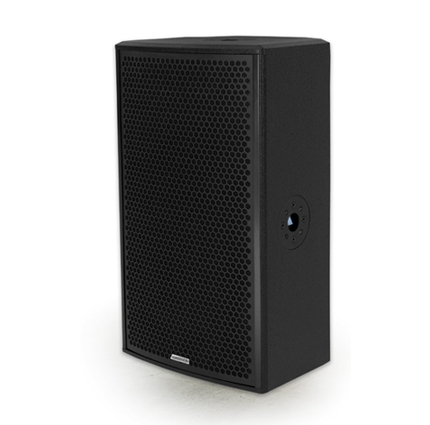 Its smaller size makes it a compact alternative to the Point 15, where maximum low frequency output isn’t needed. The Point 12 is available in both passive and active(bi-amped) versions. The first Adamson 12” Kevlar Neodymium design, the ND12-L Kevlar Neodymium driver, and 1.4” exit HF driver mounted on an Adamson fiberglass waveguide, give this remarkable cabinet its power.